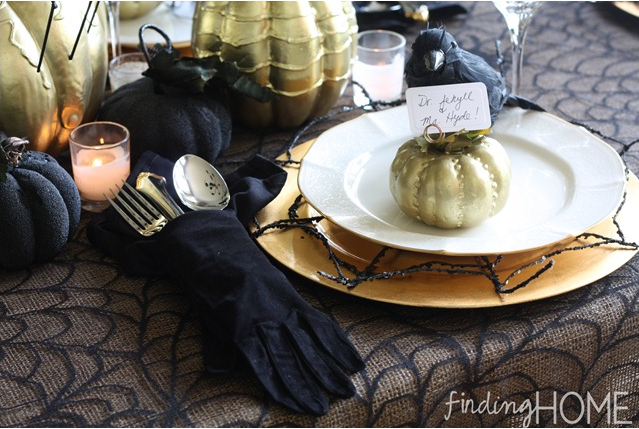 Looking for a more sophisticated and chic Halloween party? Then check out this post for plenty of ideas on decorations, themes and more! Want to see more Halloween party ideas? Check out The Queen of Halloween Pinterest Board for plenty of tips to make your next Halloween bash the best yet. You can also do a search for Halloween party ideas on Pinterest and see how many wonderful ideas come up. They’ve got kids Halloween party ideas, adult Halloween party ideas, themes, food, decorations and tons more. I find myself constantly searching that term and always enjoy seeing what news things have been added since the last time I checked. Then of course there is the Halloween Parties page on MarthaStewart.com. She’s always got some fun ideas for food, decorations, costumes and crafts on her site. Even if I don’t always have the time to make some of the more complicated ideas she has, I still enjoy checking out her page to get inspired when I’m starting to plan my Halloween party every year. Another one of my favorite websites is definitely HGTV and they’ve got a pretty awesome Halloween party ideas, too. They’re Halloween page is quite extensive and includes ideas for the home as well as costumes, makeup, food and even special effects you can use to make your haunted house the most frightening on your block. More Halloween party ideas coming soon…. stay tuned!